Questions, I have a lot of them. This mom gig didn’t come with a manual (or maybe the hospital forgot to give me my copy?). 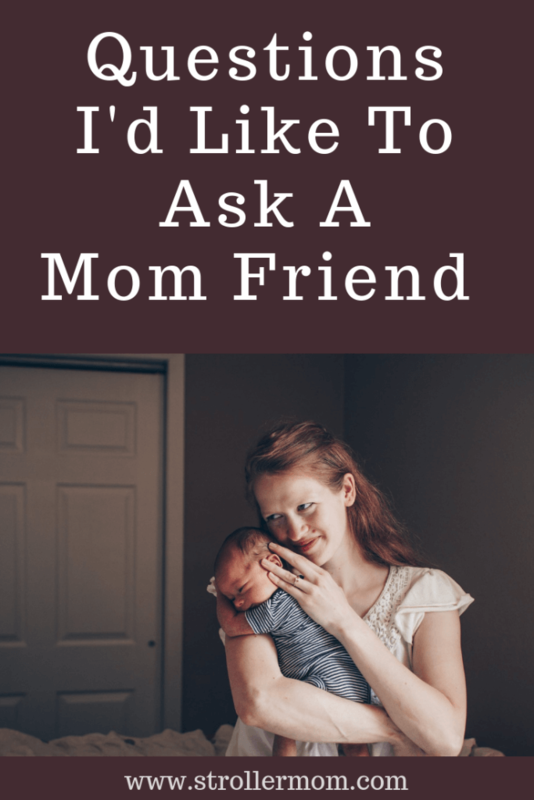 I wrote my first edition of Questions I’d Like to Ask a Mom Friend back when Gideon was only a few months old. 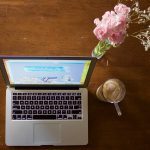 I was sitting alone in the apartment nursing him, worrying about all these questions I had ping-ponging around in my head, and I pulled open my laptop and sent those questions out to all you sweet blog readers. And boy did you come through for me! I received SO MANY sweet responses! 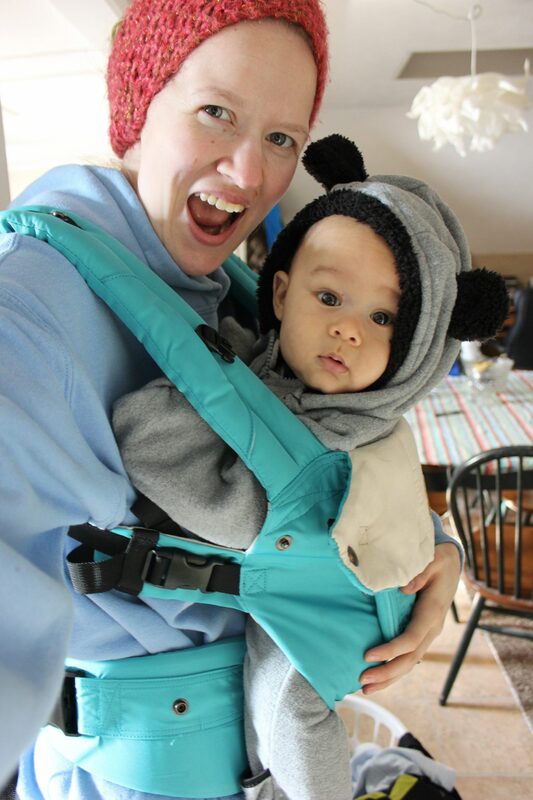 You belayed my fears about tummy time, gave me a break when it came to housework, and offered a heaping amount of understanding when I needed it most. Almost a year later, I still have questions, but they are completely different than they used to be! I am no longer worried about tummy time, baby gyms, or bundling a newborn up for the cold anymore: that season has passed. Now I am worried about keeping Gideon entertained all winter, child spacing, and when to drop that second nap (sob! Not until he’s 10 years old, right? Right?). I’d love to hear your answers to these questions, and drop your own questions in the comments below! Let’s all help each other navigate whatever season we are in currently. Gideon has started fighting his second nap. He sleeps really well in the morning–we get back from our walk/jog and he generally sleeps 1.5-2 hours, but the afternoon nap is tricky. Sometimes it takes me an hour to get him down to sleep, and then he only snoozes for forty-five minutes anyways, but on the days when we skipped a nap he was fussy and tired. When did you drop the second nap, and how did you transition to one nap? 2) What do you do with your kids in the winter? As winter is drawing ever nearer, I have started biting my nails over what to do with my little sidekick in the cold months. We have gotten into such an amazing summer routine that revolves around 1-2 walks/jogs a day that gets us outside, gives me some time to interact with adults, and wears Gideon out so he goes down for a nice long nap. We live in Nebraska, where the winters are long and cold–and we live in a tiny little town that has very little entertainment for kids. We basically have a library where there are 1-2 toddler activities a month, and a child’s play area that costs $1 that is open a few times a week. We don’t even have restaurants with indoor play areas. So…how do you entertain your littles when months go by without being able to set foot outside? 3) How do you keep your home tidy? I have spent all summer sending box after box to Goodwill. We live in an apartment with close to no storage space, and so everything sits out. The clutter has really started to bother me immensely, but I feel like no matter how much I get rid of, there is always more. It feels so overwhelming right now! I dream of getting my home to the place where everything has its own spot, and there is no clutter anywhere. Our major sources of clutter are our clothes (we have way too many, despite multiple purges), and dishes. I really want a clean, tidy home. I have been tempted to purchase The Nester’s new book Cozy Minimalist Home: More Style, Less Stuff because if you preorder it before October 1st then you get her four decorating courses for free! I took one of her courses a few years ago, and it was SO fun and a life-changer. How do you keep your home pretty and clean? I need help! 4) How and where do you meet mom friends? This might also be a problem with living in a tiny town (I see all sorts of fun mom groups in bigger cities! ), but I’ve had a tough time meeting other moms. I am a work-at-home mom, and I feel super uncomfortable living Gideon with someone I don’t know. So even MOPS requires you to drop your kids off at their child care, and I just don’t feel comfortable with that. I see other moms pushing strollers every once in awhile, and I say hi, but I know I should probably get up the courage to stop and talk to them. I don’t know if there just aren’t hardly any other stay-at-home moms in my age range in our town, or if they are all sticking close to home, and I don’t see them, ha! I have such a wonderful group of family and friends, that I’m not that lonely, but I do wish I could meet a few more moms in my area! Where have you had luck meeting other moms or finding community? 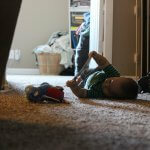 5) How long did you wait before having a second child, and what do you like about that spacing? Granted, I know that you can’t just snap your fingers and have another child. Fertility is totally up to God. But if you do have a second child, I’d love to know what the spacing is, and why you like that spacing? I find it so fascinating. I worry about having a baby too soon, and it affecting my breastfeeding relationship with Gideon, and not fully enjoying his babyhood. But then I have also read that it is awesome to have a second fairly soon, to avoid jealousy from the firstborn, and so that they are both in a similar stage. 6) How do you fill your mind when you are chasing littles all day? I don’t want to spend all my time scrolling social media, or having Netflix blare in the background. I do listen to A LOT of podcasts, I use Voxer daily to chat with my friends and family, and I listen to audiobooks–but when my hubby is working twelve-hour-days, six days a week, that is a lot of time hanging out with a one-year-old! I resort to TV more than I would like to admit. How do you fill the quiet time when there are no adults in the house? What are your strategies? 7) What do you do consistently to feel like yourself? For me, I have to get in exercise (hello endorphins! ), and be consistently working on a few creative projects, and reading to feel like me. What do you do every day that reminds you that you are a person as well as a mom? Your turn! 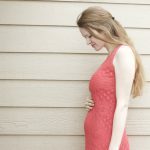 What questions do you have that I (or other moms) could answer? 2. I will start going on walks with my kids in the winter! Ha, no help for that one friend. Let us know how you survive and thrive it! 3. Cleaning routine and way less stuff. Stuff sneaks in so I’m forever decluttering. 4. I prayed and God answered. A friend invited me to a ladies’ Bible study and I ended up making a book club with a few of the other women. I tried to be very active on their Instagram feeds hah, with commenting on their stories and such, since we don’t have math class together or anything, but we are all on social media each day. Eventually we made play dates and now a book club! 6. Same as you. Podcasts, books, getting outside, and interacting on social media. I want to start Voxer, I’ve heard so many people say they love it and with moms and naps and such it seems like a great tool. 7. I’m still figuring this one out. What do Saia and you do for date nights? Or stay at home date nights? Or what do you do to connect as a couple besides talking about baby? I love this! 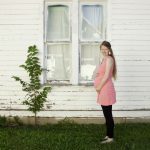 This is going to help create such a great little community with new mamas! Great questions! And boy do I wish motherhood did come with a manual and instant mom friends! As far as the decluttering goes let me know if you figure it out. I will do a big purge and get everything in order and it’ll feel great for a couple days but it never seems to last. As far as the 2 to 1 naps go, with Rebekah it was easier to let her dictate that. But with the boys I’ve been anxious for them to go down to one nap but they are not quite ready. Half the time they do one nap and half the time they do two. I would like the extra naptime for them except when they do two naps it feels like we are trapped at home all day and can’t do fun library programs or playgroups. As far as making mom friends, I struggled with that a lot when I just had Rebekah. Having more kids doesn’t necessarily make that easier, but we had some other things in our life changed that suddenly opened up more opportunities. One of those was when we changed churches. The church I go to now has a play group that meets once a week in the church play room. It has infant through five-year-old kids there with their moms. It’s so much fun to let the kids play and socialize while we talk and drink coffee. Granted, I actually don’t make it there that often because a lot of times the boys are napping! I think most kids give up the second nap or more accurately the first by around 18 months. I also found that I met a lot of moms in the nursing room at church during those early months. Reaching out and asking if someone would want to get together and go for walks or come over and let the kids play feels intimidating because it’s putting yourself out there and I am certainly not great at it. (I’m an introvert, trained to be an extrovert.) But from time to time it has worked out really well. I think one of my biggest blessings was making friends with a mom whose daughters were a couple years older than Rebecca. They played really well with her and she loves to be able to come and help with the babies. We could go for walks or even shopping together and she was always so helpful and fun to be around not to mention she had great advice for what would lay ahead. Sadly she spends almost a third of her year in California back visiting family and now that both of her girls are in school she is about to start a full-time job so I don’t know how much time we will have for getting together. Yay! I was so hoping you would answer my questions. I look up to you so! That is so interesting that you are ready for your boys to drop their naps down to one, but that makes total sense! Two naps a day really does tie you down, and I suppose once they transition to one nap then they sleep a good chunk of the afternoon, maybe? Wow, that play group at your church sounds AMAZING. I would love if that was a thing here! Hopefully once the boys give up their second nap then you’ll be able to make it there more often, because that sounds incredible. That is too bad about your friend! It is always hard when a friend enters a different stage of life which makes it so much harder to get together. I think you are right that I just need to be bolder, and reach out to other mamas more.It is always uncomfortable making that first step, but I just need to do it! Wish we lived closer together! I had a similar struggle with going from 1 to 2 naps (so sad, haha). Zoe was similar with a great morning nap but then another-so-great afternoon nap. In the end I feel like I didn’t need to put much effort in at all – we just tried to put her down a little later in the morning, and maybe even a littler earlier at night if she was particularly tired after no afternoon nap. We also have a small home with very limited storage and I think (again!) I’m the same as you in that I want a neat, simple home! I feel like I’m always looking for things to get rid of. One thing that has helped me manage is to have things stored in boxes, so at least it looks tidier (for example, Zoe’s toys are in boxes in some IKEA shelves we have… so we can tuck them away and you wouldn’t know we have a toddler! But even other things I have in boxes under our bed, or in suitcases. With meeting people and things like MOPS, they might let you even go to the childcare with Gideon and volunteer or something so you can get to know the childcare workers and see how it all works? That might be a nice social interaction in the meantime. Or, even going for walks at different times of day may help seeing more/different people – I’ve found that I’ve met different mums at the playground simply by going in the afternoon instead of the morning, for example. You are the lucky first!! 1 to 2 naps is so sad, ha ha! That is good to hear that it wasn’t that stressful of a transition for you guys, but that it just happened fairly naturally! That is so smart to use boxes to store away clutter and toys! I think I do need to invest in some storage solutions. I think you are right, that I would feel better if some of the things were tucked away rather than just sitting out in the open! Such a good idea about volunteering to help with childcare, to get to know the people involved. I hadn’t even thought of that! And going on walks at different times of day is super interesting too. I will definitely start playing around with that, and trying to figure out when other mamas are out and about. Thanks for all the help, Rachel!